The Ric New “Medal for Excellence” aims to recognise outstanding potential, work ethic and commitment of a young person (up to 35 years of age as at 30 June 2016) in the context of their current and future contribution to the building and construction industry in Western Australia. The Ric New “Rising Star” Award aims to recognise outstanding potential, work ethic and commitment of a young person (up to 25 years of age as at 30 June 2016) in the context of their current and future contribution to the building and construction industry in Western Australia. Both of these awards focus is on practical achievement, overcoming adversity and potential contribution to the building industry rather than academic performance. 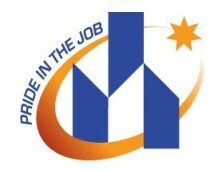 They are presented annually in conjunction with the Master Builders Apprentice of the Year Awards. The Robert Law Award was established in 1998 during MBA’s centennial year in honour of our first President, Robert Law. The Award is given to an individual or organisation who in the opinion of MBA’s Board of Management has made a significant contribution to the building and construction industry in Western Australia. The Award is given to an individual who in the opinion of MBA’s Board of Management has made a significant contribution to the building and construction industry in Western Australia.